Thank you for a great Festival! 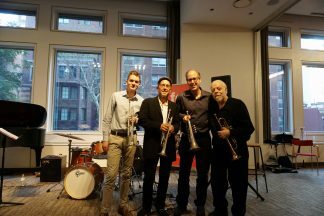 Thank you for sharing another inspiring year of forward-looking, engaged music making for the trumpet! 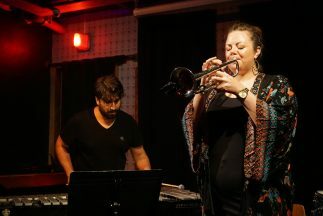 Trumpeters Dave Douglas, Stephanie Richards, Marquis Hill, Taylor Ho Bynum, Michael Gurfield, Aaron Shragge and John Blevins all contributed their unique visions to this year’s forward-looking program in venues across New York City. Thanks to all this year’s musicians for their vision, inspiration and dedication! 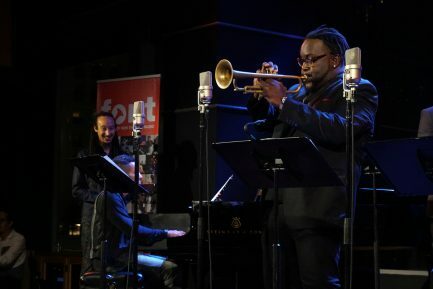 And thanks to all of our supporters and those who recognize the importance of new creative music for the trumpet. Your donations helped support over 20 performances, workshops and commissions, including a tribute to the always inspiring John McNeil. Stay tuned for pictures, video and a special podcast from the festival as we share them over the next few months on our blog and social media. Enjoy a sneak peek below of some of the highlights of the last few days of the festival.